The winter of 2016 brought several solid swells to the Hawaiian Islands, and The Mokulele Surf Team is shining in the all the Jr.
events they attend. The pool of talent Mokulele has under its WINGS continues to elevate the game in 2017. Mokulele can’t thank its young Male and Female surfers enough for all the effort and time they invest into being the best they can be! Mokulele is proud to provide their Surf Team with all the travel opportunities needed to allow them to grow as competitive athletes. This year they are providing another level of participation that is designed to make everyone’s lives easier when traveling. 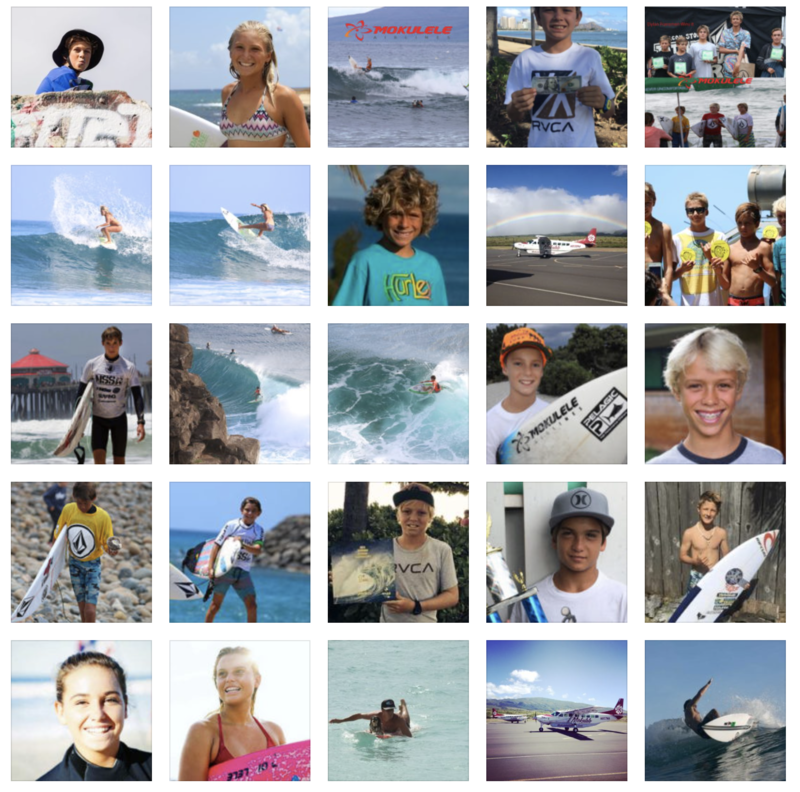 Mokulele is proud to create each athlete their own team badge that will be designed for each team members as a way to facilitate the surfers travel experience. The photo ID badges make the entire counter and boarding experience a simple task for both for the counter employee and the athlete. the future of surfing in Hawaii.